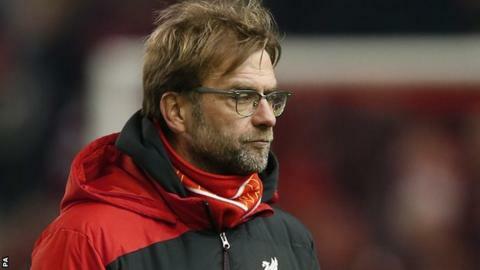 Liverpool manager Jurgen Klopp has had surgery to remove his appendix after being admitted to hospital on Saturday. Klopp, 48, missed seeing his side lose a 2-0 lead before drawing 2-2 with Sunderland at Anfield. The German's coaching staff, including Zeljko Buvac, Peter Krawietz, Pepijn Lijnders and John Achterberg took over. Liverpool say Klopp "or a member of the first team coaching staff" will hold a media briefing on Monday ahead of the FA Cup fourth round replay at West Ham. You can read a full report of Liverpool's game with Sunderland here.